Refreshingly different and entirely unpretentious, Bright Star has an original story, an authentic Southern sound and a cohesive blend of creative elements. Wearing its heart on its sleeve right from the opening ballad “If You Knew My Story,” Bright Star charts the tale of successful editor Alice Murphy, illuminating the events that put the steel in this fair magnolia. 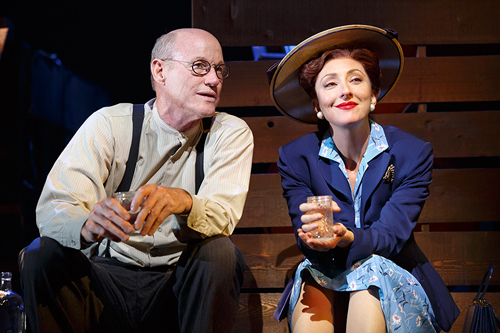 Carmen Cusack’s winning lead performance as southern belle Alice is all the more impressive given that she is finally making her Broadway debut. 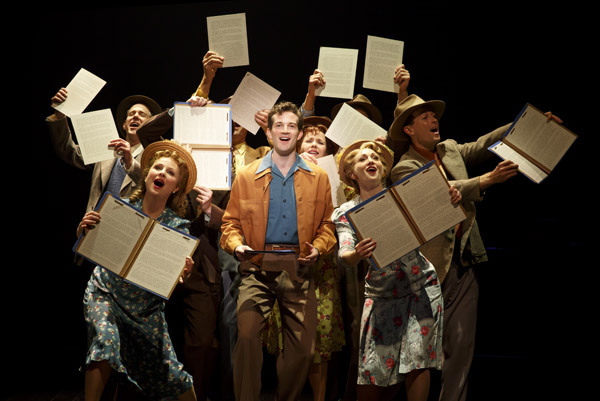 Musicals have long been claimed as an American art form, and for once this claim is well supported, with a distinctly American bluegrass and country feel to the score. The music has a gentler vibe than fellow current bluegrass show The Robber Bridegroom, with mellow harmonies and less frenetic accompaniment. The score is by Edie Brickell and Steve Martin, who devised the story together. Martin’s book contains many a welcome chuckle. 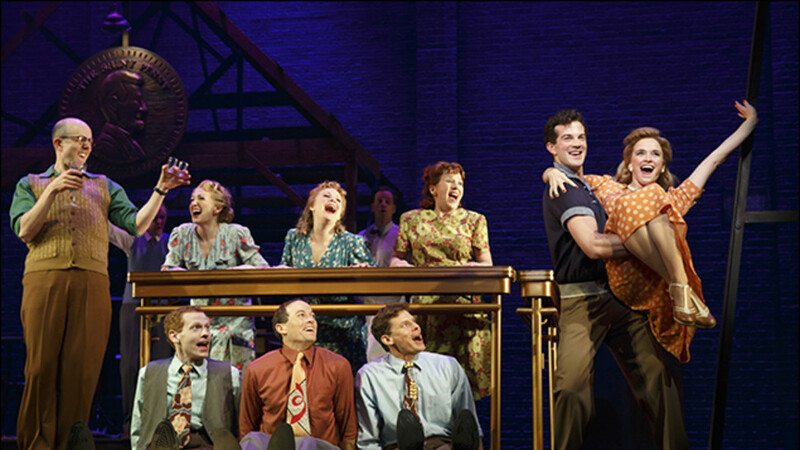 Rob Berman’s music direction and vocal arrangements give the show the hint of a Broadway sound while maintaining the country feel. The plot is a slow burn. 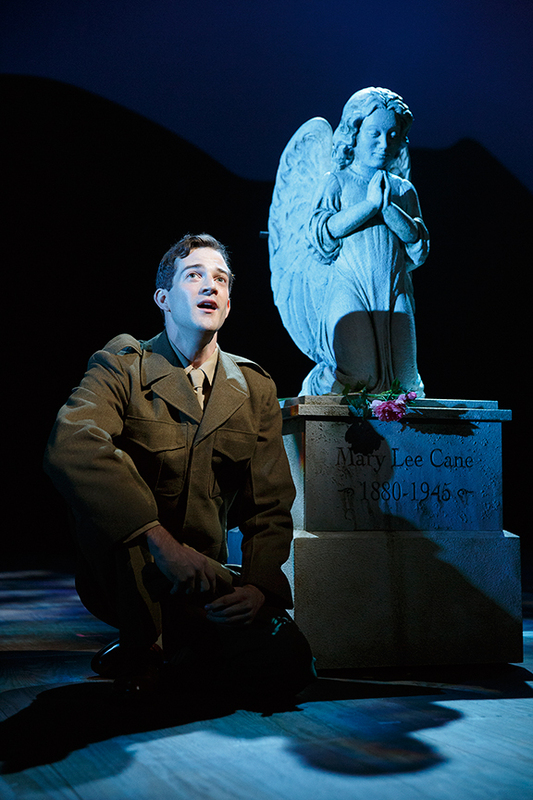 Mainly set in North Carolina in the mid-1940s, our focus jumps from Alice’s opening number to a handsome young soldier named Billy who is returning safely home from war. With sweetheart Margo’s encouragement, Billy goes to the Asheville Southern Journal to have his short stories published, hence bringing Alice into the plot. In a clever visual sequence, we see Alice turn into her younger self, as the story flashes back 20 years during the appropriately titled “Way Back In The Day.” Alice’s romance with Jimmy Ray is cut short by his narrow-minded father Mayor Dobbs, who ends act one with a particularly brutal and heartless deed. Anyone who watches soap operas (and I watch four per weekday) will see where the story is going, but watching the elements fall into place is satisfying. 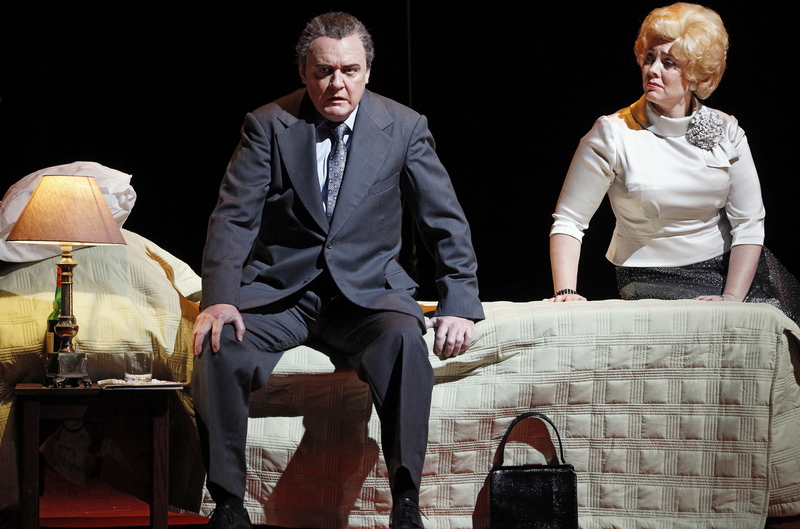 Slow patches in the story and helped along by terrific use of the ensemble, who are in three quarters of the songs. Josh Rhodes’ choreography features some nifty swing dancing. If events become a little swift and neat for the Happy Ending, the characters and audience deserve it after the drama of the previous two and a half hours. Highly experienced director Walter Bobbie shows a supremely assured touch in juggling any number of elements simultaneously. Members of the ensemble sing, dance and act, and also rotate sets and move props. 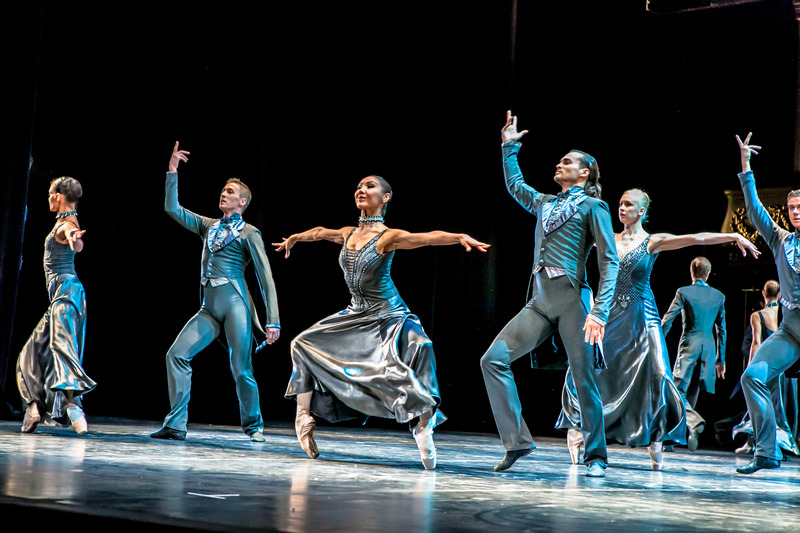 With constant movement of flies and changes of state of lights, not to mention changes of costumes and wigs to represent the two time periods, the whole show is choreographed to run as a precise, integrated unit. Eugene Lee’s scenic design is of the very modern variety where a few simple, carefully selected elements represent the various settings. In a cute touch, the key element of a train is included in the form of a nifty model train running on an overhead track. Jane Greenwood brings more than fifty years’ experience to the decidedly un-showy costumes, which are subtly attractive and suitably realistic. Cusack is sure to gain well-deserved accolades and attention for her wonderful leading performance. 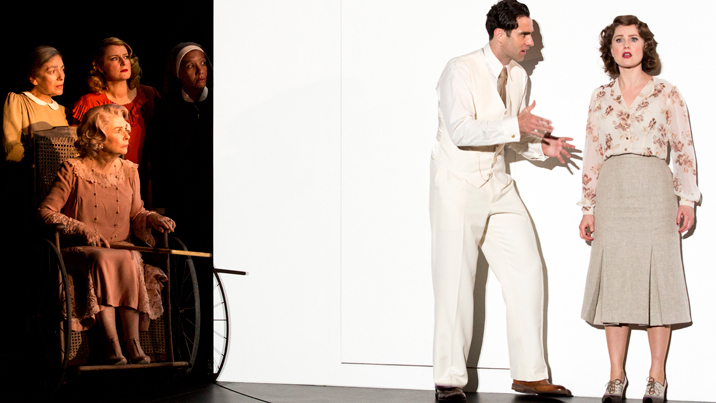 Paul Alexander Nolan (previously seen in Jesus Christ Superstar and Doctor Zhivago) gives a restrained performance as Alice’s love, Jimmy Ray, and is a strong partner for Cusack. A.J Shively and Hannah Elless are appealing as young romantic leads Billy and Margo. Emily Padgett provides welcome energy and effervescence as Lucy. The stock sitcom character of the camp co-worker may be a bit forward thinking for the 1940s, but Jeff Blumenkrantz delivers Daryl’s withering putdowns and droll asides with devilish flair. Broadway veterans, including, but not limited to, Dee Hoty, Michael Mulheren and Michael X. Martin, provide unwavering support. Without a cynical note to be heard, Bright Star is a warm and fuzzy, rose-coloured show for those who like to leave theatre with a smile. 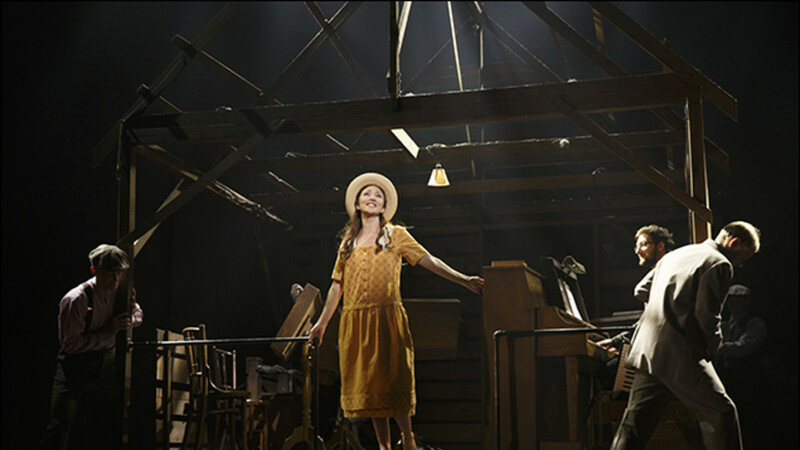 Bright Star was reviewed 7pm Tuesday 29 March 2016 at Cort Theatre, New York. 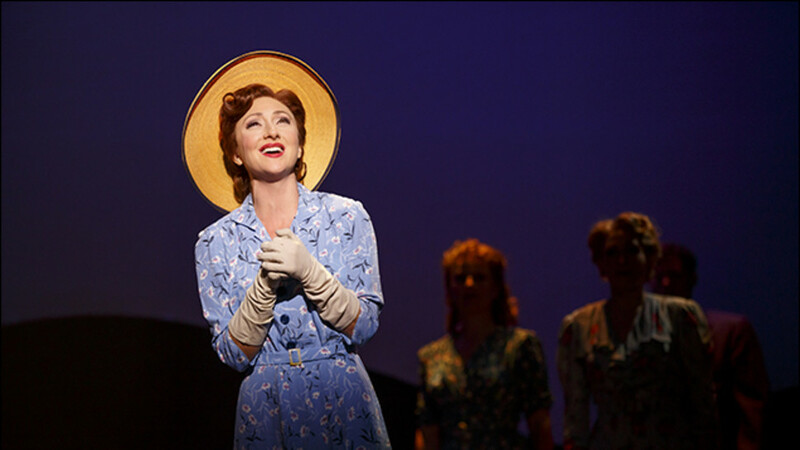 Carmen Cusack was born in Denver, Colorado. She’s not from England. Thanks very much for this Raven. This was a sloppy error on my part. I think I was taken by the number of UK credits in her bio. I will change the reference to Cusack’s nationality in the review.